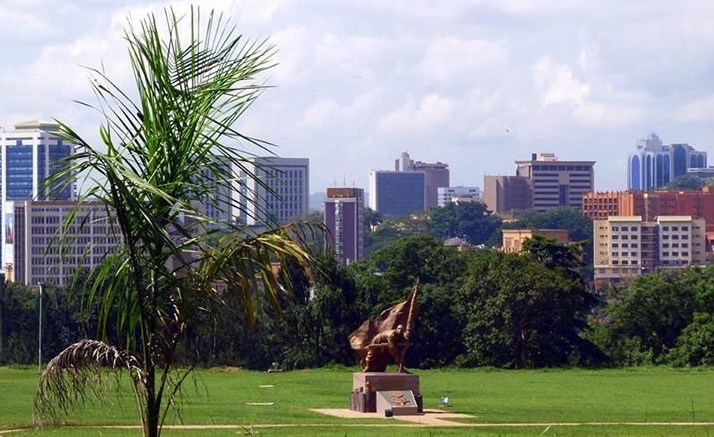 KAMPALA, Uganda – With China National Offshore Oil Corporation (CNOOC), the only holder of an oil production license for the Kingfisher Discovery Area, expectations are that 2014 will likely be the year for the government to issue more production licenses to other firms. Last week, all the three oil exploration firms Tullow, CNOOC and Total had tendered in bids for production licenses for 10 of the 21 oil prospected areas. This is a sign that government will speed up the process. 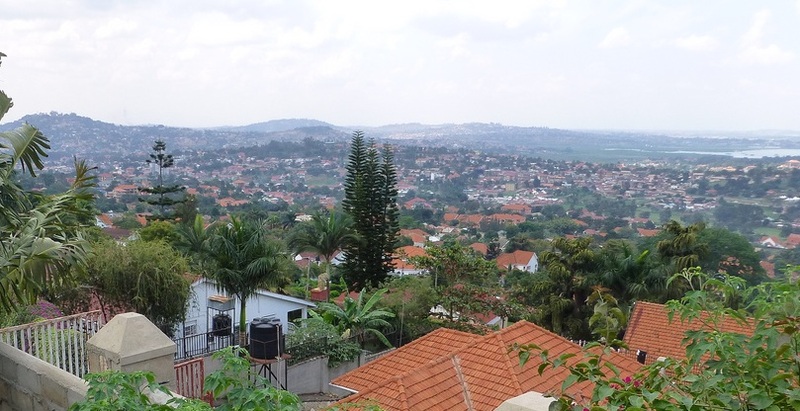 Uganda’s first oil drop is not expected until 2018. “The licensed oil companies in the country, in-line with the provisions of the Petroleum (Exploration, Development and Production) Act 2013, have submitted applications together with their respective Field Development Plans (FDP) and Petroleum Reservoir Reports (PRR),” Ernest Rubondo, the Commissioner for Petroleum Exploration and Production Department said in a statement. Tullow Uganda Operations Pty Limited (Tullow), the operator of Exploration Area 2 (EA 2), had by last week submitted their field development plans and petroleum reservoir reports for eight discoveries. The discovery areas are Mputa, Nzizi, Kigogole, Nsoga, Ngara, Ngege, Kasamene and Wahrindi after completion of appraisal work on these discoveries. This shows Tullow’s readiness for production. On September 16, 2013, Uganda lifted the condition on the Petroleum Production License for the Kingfisher Discovery, operated by CNOOC Uganda Limited following agreement on the Field Development Plan and Petroleum Reservoir Reports for this field. The Kingfisher Production License is the first petroleum production license to be issued in the country and marked the country’s entry into the development phase. “Development of the Kingfisher field is expected to be complete within four years before production can commence,” Rubondo said. Also, Total E&P Uganda B.V (Total) submitted an application for a production license over the Ngiri discovery in Exploration Area 1. This was the first application for a production license submitted by Total since they took over the operatorship of Exploration Area 1 from Tullow oil during February 2012. The application for the Production Licence was submitted to the Minister of Energy and Mineral Development during December, 2013. Rubondo says following receipt of the applications for production licenses, Government engages the respective company in technical discussions over the FDP’s and PRR’s which are submitted along with the application and when consensus is achieved, a production license is granted. “These technical discussions are important because they bring out the pros and cons of the proposed development and align the understanding of the nature and characteristics of the specific petroleum reservoir by both Government and the oil company,” he stressed. The discussions contribute to ensuring good and efficient management of the petroleum reservoir during production. “The review process and discussions are based on analysis of the data which the companies acquire during appraisal of the discoveries”, said Rubondo. Total the operator of Exploration Area 1 and 1A, in September last year applied for extension of the appraisal period for the Jobi, Rii, Gunya, Jobi-East and Mpyo discoveries in EA 1. The period of appraisal for the Jobi and Rii discoveries was subsequently extended until June 2014 while the period of appraisal for Jobi-East, Gunya and Mpyo discoveries was extended to December 2014. 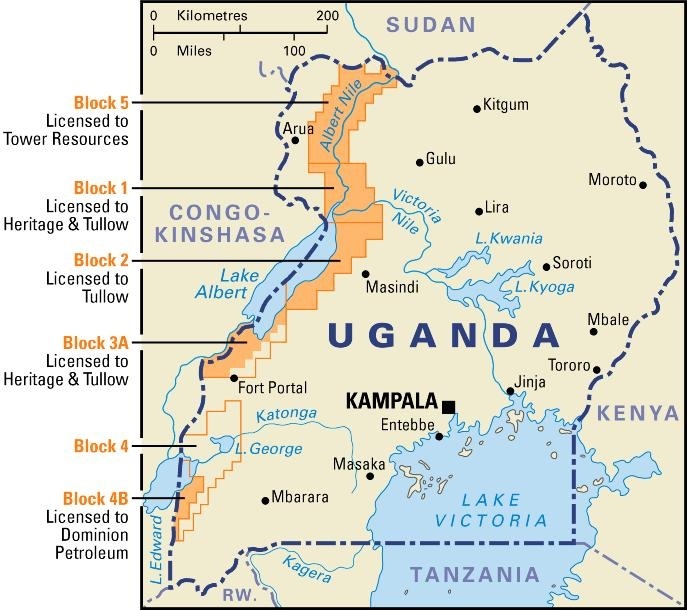 According to Rubondo, applications for production licenses for these five discoveries in EA 1 together with that of the Lyec Discovery in EA 1A are expected to be submitted during 2014. “Tullow is also continuing to appraise the Waraga Discovery in EA 2, whose period of appraisal expires at the end of April 2014. Tullow is currently drilling Waraga -3 the second appraisal well on the discovery. “Three discoveries (Karuka, Taitai and Turaco) were considered sub commercial by the companies and therefore relinquished. These discoveries are expected to be made available for re-licensing through open competitive bidding,” notes Rubondo. Rubondo said the appraisal process enables a more detailed understanding of the size of the reservoir and its characteristics, hence providing for more efficient recovery of the resources therein. He said the work carried out during appraisal of a discovery usually involves more workload than that carried during exploration. “For example out of the 114 wells drilled in Uganda to date, 84 are appraisal wells. Development of the different discoveries should also be optimized, through aspects like sharing of the facilities, so as to ensure minimal environment foot print and improved economics. These are some of the issues which inform the preparation of an appropriate FDPs and PRRs,” he said. Rubondo said the time taken to undertake appraisal and the discussions between Government and the companies with regard to the FDP and PRR account for the time between when a discovery is made and the award of a production license issued. 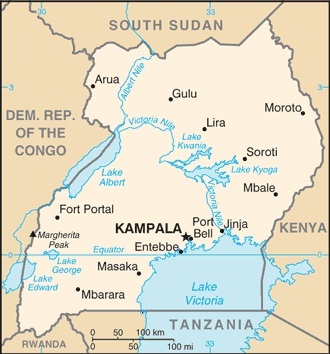 Uganda in land area is slightly smaller than the U.S. state of Oregon.